What a successful third summer of camp we had with lasting friendships formed and a transformative Jewish community built along the shores of Monterey Bay! We are thrilled to be working closely with staff, families, and local community members to grow a Northern California Ramah camp that serves the Bay Area Jewish community. Our campers have gained new skills in their specialty areas, grown as leaders, and have developed their Jewish identities. The impact of Camp Ramah in Northern California is already felt through our engagement with local institutions. We partner with synagogues and schools to create Ramah-style Shabbat services, camp reunions, and other events that serve as both educational and engagement opportunities. Our goal is to offer cutting edge programming and inclusive camp experiences to thousands of families and staff, and in turn, inspire the communities to which these youths will return with profound relationships and a new, entrepreneurial Jewish spirit. I would like to personally thank everyone who has helped to turn the dream of Camp Ramah in Northern California into a reality that is shaping the lives of campers, families, and their communities. I invite you to join us on the journey to help Ramah in Northern California grow more friendships, more future Jewish leaders, and more joy in our homes, our hearts, and our communities through a gift to camp today! 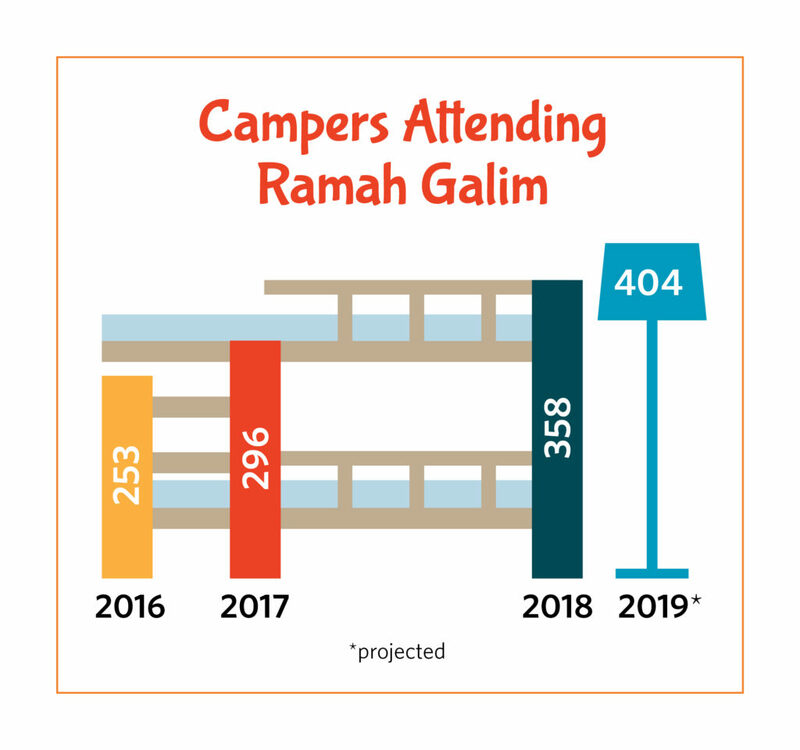 With 350 campers in its third summer, Camp Ramah in Northern California has seen amazing success just after its doors open for its second summer. To date, 40% of the campers enrolled have never before been to Jewish overnight camp. While the majority of our campers come from local communities, campers have been attracted to Camp Ramah in Northern California’s unique programs from twelve different states and three different countries. We ultimately hope to serve over 400 campers each summer, and in doing so, meet the growing demand for our program and achieve financial sustainability, but we cannot do it alone. Thankfully, there has been a groundswell of support from volunteers, donors, local Rabbis, Jewish educators, community leaders, and current Ramah campers and alumni, that has allowed us to launch our community and plan opportunities for future collaboration in order to meet the needs of affiliated and unaffiliated Jews in Northern California. We have connected with over 100 local and national organizations, building the Camp Ramah in Northern California family. To date, Camp Ramah in Northern California has raised nearly $2.5 million from generous regional and national funders and is using those funds to develop top-notch specialty programming in ocean exploration, adventure sports, and performing arts, and pave the way towards a path to reaching financial sustainability. In order to provide our unique camp experience and meet the anticipated camper and programmatic growth, together our goal is to raise $200,000 this year. We are in the home stretch! The overwhelming success of Ramah Galim underscores the potential for educating and inspiring young Jewish in their formative years. 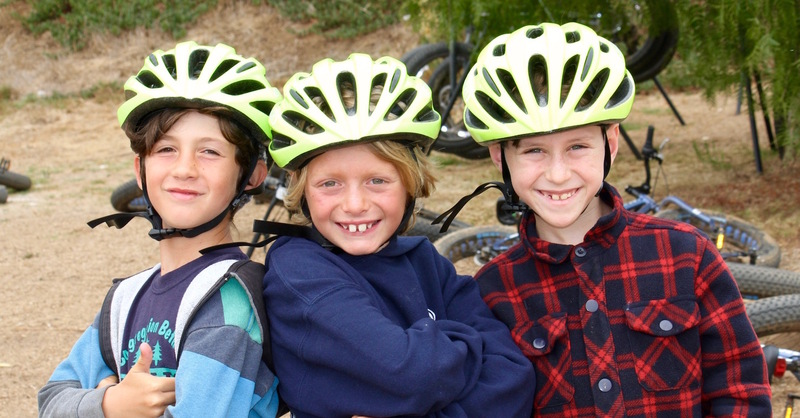 With the help of our generous supporters, Camp Ramah in Northern California is poised to help train, motive and engage the next generation of Jewish leaders.